You’re constructing a home from the ground up; maybe you’re in the construction business and this isn’t your first time around the block. Or maybe you’re new to this–you’re building your first home and are looking for a little inspiration.No matter where you fall on this spectrum, you’re about to start a long project and you need certain assurances that this home will be exactly what you or your client is looking for. Viewrail is here to help. 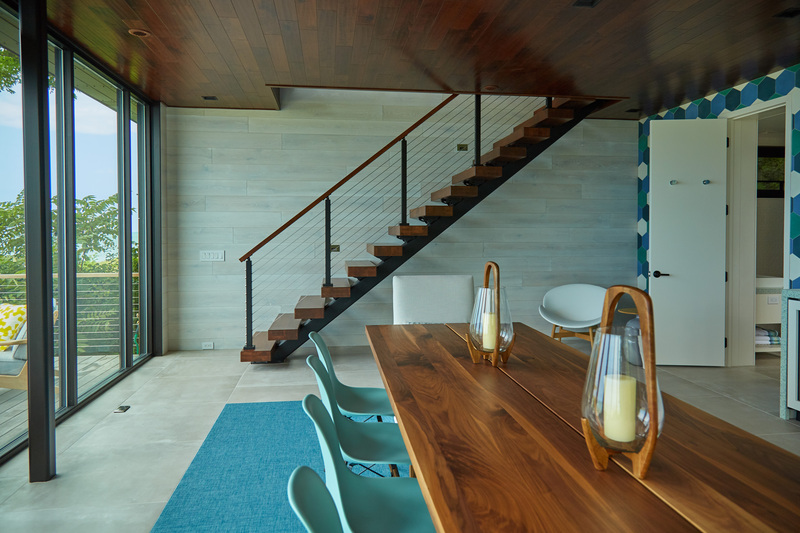 Your living space is so important, and we believe that the stairway should be a stand-out piece that adds another dimension to your home, while allowing you to live your life to the fullest. We have created a product that we believe helps you do just that. We know that a major concern when starting a new construction project is timing. When can you put the staircase in without incurring damage? What construction stairs do you need to get in the interim? When should you hire an installation team? Viewrail’s FLIGHT floating stairs help alleviate these concerns. What makes this modern staircase so perfect for new construction is that you have options. As soon as your joists go up on your house, FLIGHT can be installed and used as construction stairs. But they can also be the very last thing you put in because of how FLIGHT is engineered. We have created our floating stairs to be incredibly easy for you to install, which will save you time and money. Everything comes to you pre-welded, pre-fabricated, and ready for installation. This means all the time-consuming work has been taken out of your hands. All you and your team have to do is get it lifted into the correct spot and bolted in. You and a friend should be able to install a mono stringer system and railing in as little as one day. This is a major advantage of using our floating stairs. Check out the Floating Stair Installation Guide and learn how easy installing floating stairs can be. 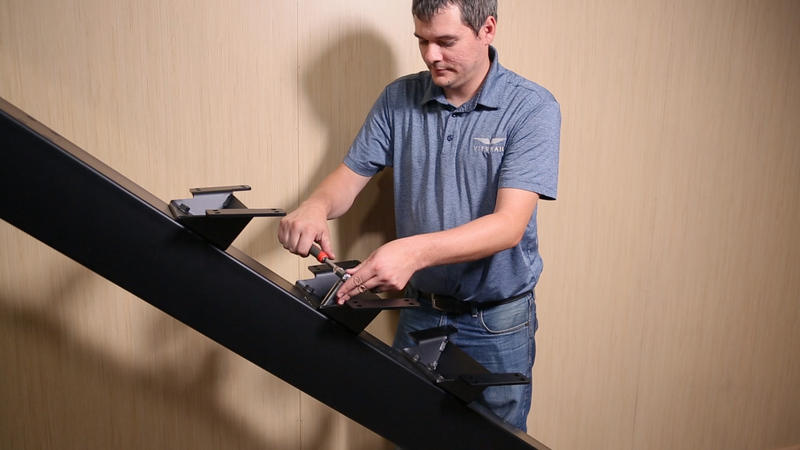 What makes FLIGHT Floating Stairs perfect for new construction projects is that we walk you through the entire process of purchasing, measuring, and installing your floating stairs. Even though we won’t be there in person with you, you will have a team of experts behind you. We take you through a detailed process of how to buy floating stairs that ensures your new staircase gets done right and has a shorter lead time than our competitors. Viewrail prides itself on making premium products that inspire and delight. This means that we custom make every single one of our contemporary staircases to complement your project. If you’re planning on having beautiful white oak hardwood floors and accents in your home, you can choose to have your treads made in white oak to match. No matter what design you’re going after, you can choose to have your mono stringer powder coated in a variety of colors and add a horizontal metal railing or glass railing option to complete the look. 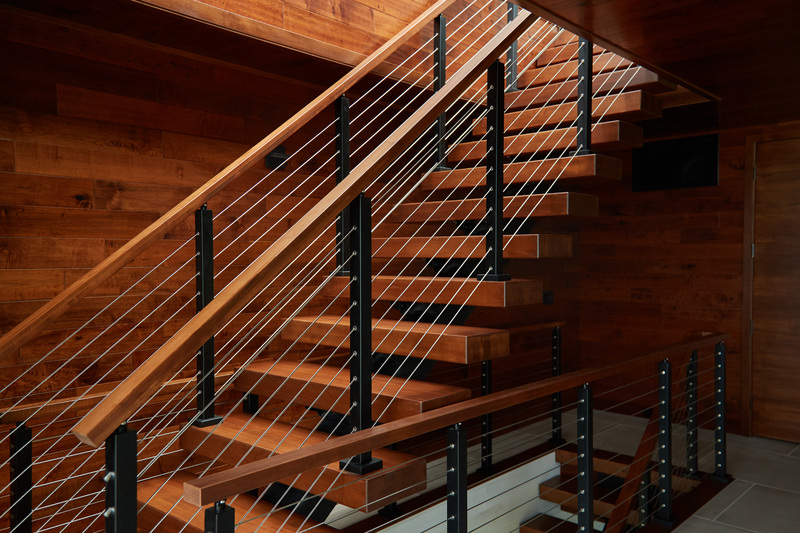 There is a wood species for your treads, a railing option for your stairs, and a powder coat for your posts and stringer that will make this custom stair the perfect pairing for your home. The design options are endless. How Do I Get Started with Floating Stairs? Floating Stairs doesn’t have a time-stamp, can be used as construction stairs, and takes you through the entire design process, all while complementing and elevating any design aesthetic. It’s time for you to take your project to the next level with the elegance of Viewrail. If you are interested in figuring out what Floating Stairs could look like in your construction project, you can get a quote here. Or, you can contact a member of our team if you have any questions. No matter what you decide to do, we hope that your construction project goes smoothly and turns out beautifully.